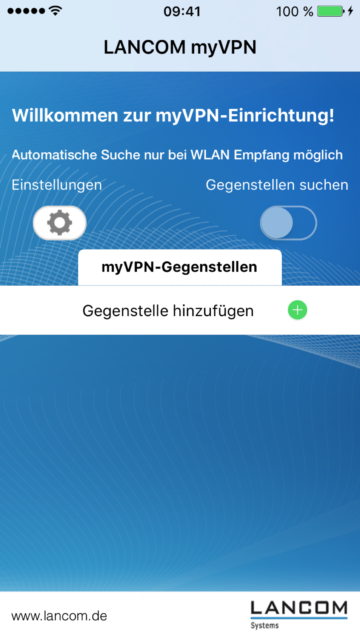 The LANCOM myVPN-app assists in the organization of securing IPSec-VPN-connections to LANCOM VPN-Gateways. 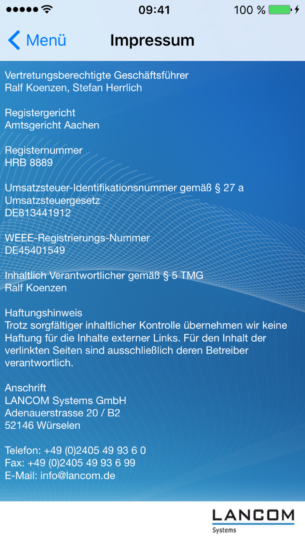 The LANCOM myVPN-app assists in the organization of securing IPSec-VPN-connections to LANCOM VPN-Gateways. 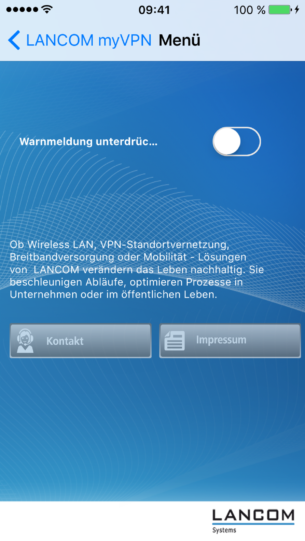 The user only has to enter the access data and the app downloads all the necessary VPN-configuration parameters from the router. The app offers the automatic detection of myVPN-activated LANCOM gateways and therefore meets all the requirements of the customer: the fast and secure use of company data outside the office, especially for employees who are working at home or are on business trips. 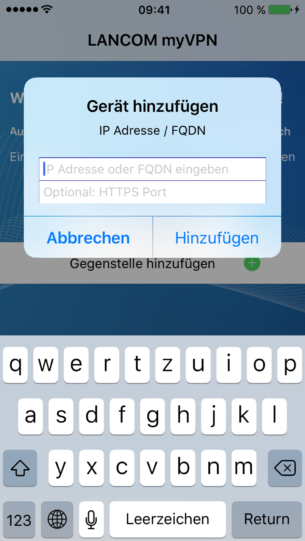 Users are able to use company applications via iOS devices from anywhere, even in a hotel, at home or when with customers. In addition, users can check their emails and they can share sensitive data with colleagues.